Are you proud of your ancestry and lineage? Do you wish to organize a wedding event rooted in the rich traditions and culture? Perhaps you are planning for an intimate cultural theme wedding. 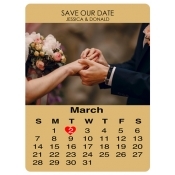 A simple way to announce your culture-enriched nuptials is by sending out cultures theme wedding save the date magnets. 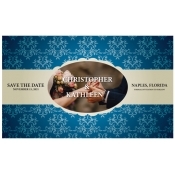 By sending out full color wedding save the date magnets, you are setting the mood for the occasion. Free shipping offered anywhere within the contiguous USA! Needless to say, the groom and bride are going to be the focus of the wedding event. The presence of loved ones, family and friends make the whole affair interesting. This is why people send out pre-invitations or save the date magnets at least a couple of months in advance to ensure full attendance Undoubtedly, cultural theme wedding are still popular because they score high on warmth, love and a rare traditional charm which eludes many modern day theme weddings. If you are a couple wishing to get married in a traditional and culture friendly way, perhaps you do not want to take risks by messing invitations because they are very important. In most cases, the conviction of a guest to attend or not to attend is fuelled by the invitation they receive. You can easily settle for full color cultures theme wedding save the date magnets to make the right move. You can get these magnetic wedding pre-invitations designed with elements of your cultural heritage. 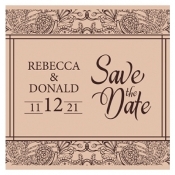 Our graphic designers have helped many couples to attain the right look for their impending cultural nuptials through these save the date magnets. It does not matter to us whether you wish to announce the typical Celtic wedding, an Asian wedding or European wedding because we can always help you to set the mood. Our selection is crafted on popular sizes of rectangle and square magnets but that is never an end to it. You can try to position your wedding information over oval magnets, circle magnets, custom die cut magnets, custom shaped magnets, etc. in the colors of your choice. 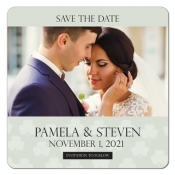 You can send these save the date personalized magnets at least a couple of months in advance to trigger the festivities associated with the wedding. We offer a vast selection of envelopes which you can avail at discounted rates through bulk orders. Save on online design proof, art setup and full color printing because their prices are included. You can match the theme with your original wedding invitation or we can help to create it from scratch at no added costs. For more details, feel free to call us at 855-762-4638 (Toll Free) or write to us at info@CMagnets.com.